Changing the world for the better starts with you. 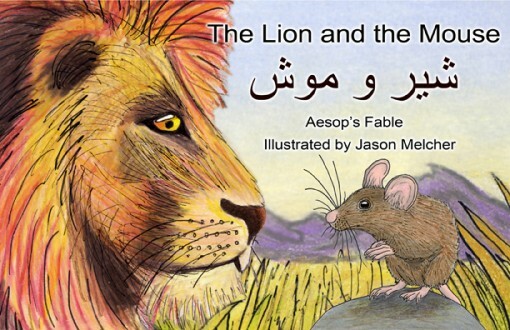 One of Imagine Asia's ten Aesop's Fables translated into Dari. Today’s feature story, “The Most Influential Children’s Publisher You’ve Never Heard Of,” describes how Room to Read, the NGO founded by John Wood, found a dearth of suitable books for the organization’s literacy programs in Africa and Asia. In response, Room to Read became a publisher, putting out some 850 titles in Lao, Hindi, Tamil, Kiswahili, and 25 other languages. You might think to yourself, as I did, “wow.” It is humbling to look on what they have accomplished in some of the most difficult working conditions in the world. But Room to Read is not alone. One of the most inspiring people I’ve met — albeit only over the phone — over the past several years of working on Publishing Perspectives is Bonnie V’Soske. Bonnie is the sister of photojournalist Steve McCurry, who is best known for shooting one of the most famous photographs ever taken — 1985′s “Afghan Girl,” an image of a young girl with sea green eyes staring defiantly into the camera.” He’s also done a series of intimate portraits of people reading, which we covered back in 2010. Based on her exposure to Afghanistan through her brother, Bonnie — who manages her brother’s business and is a former schoolteacher — launched a nonprofit to care for and educate Afghan children: Imagine Asia. The organization opened a school for refugee women and children in Kabul, has donated thousands of medical textbooks to the medical college and hospitals in Kabul and Peshawar, provided English language textbooks — including technology texts donated from O’Reilly — to the University of Herat. But one of the group’s most ambitious goals has been working to translate Aesop’s fables into Dari. 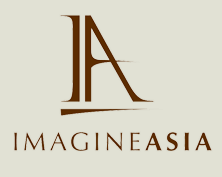 So far, more than ten titles have been planned, produced and published by Imagine Asia. These days, with our obsession over analytics and formats, the latest ebook platform or discoverability tool, and the future of our industry, it is easy lose sight of just why it is publishing matters to so very many people. Books can change people’s lives. Yes, even the smallest publishers — be they individuals or organizations — can change the world for the better. And it starts with you.